C’est l’Halloween! 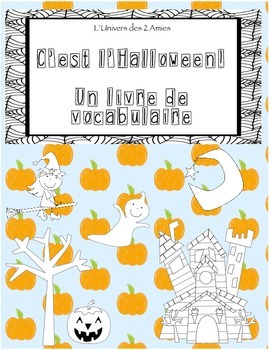 These booklets are a great way to introduce and reinforce Halloween vocabulary as well as number practice to 10. The file includes 3 booklets of the same vocabulary with varying levels of difficulty. Great for a split grade class, differentiation and core French classes. These booklets can be used for grades PreK-2. The first booklet asks students to count the number of objects and write the number into the sentence structure, "Je vois . . .". In the second booklet students are asked to read the sentence and draw the objects. Finally, in the third booklet students are asked to write the number and the name of the object.